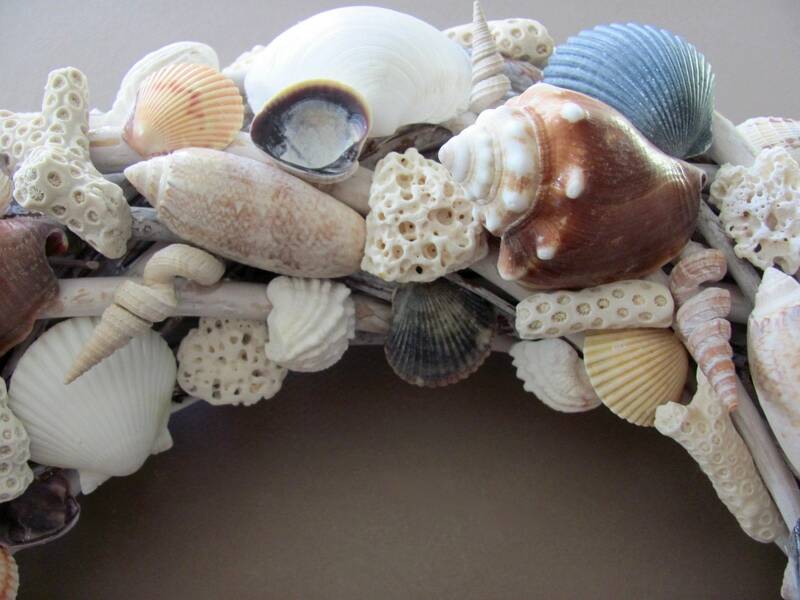 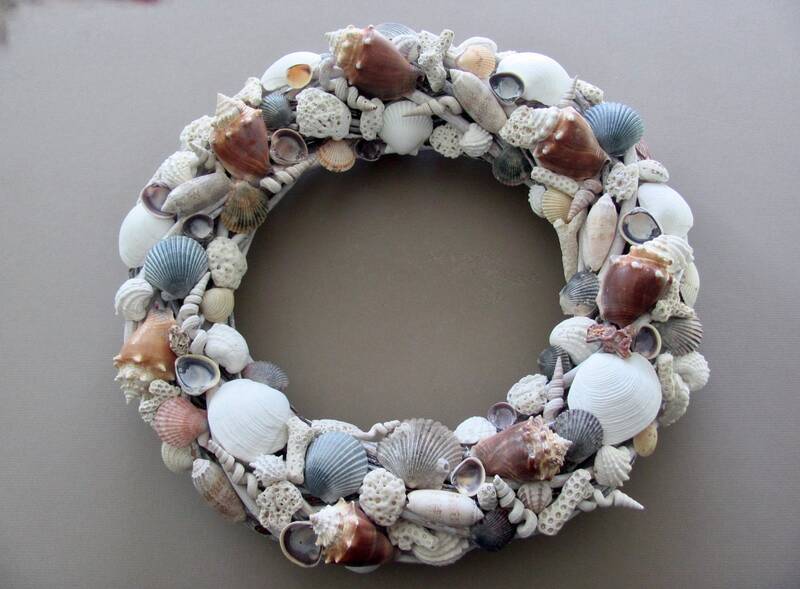 Authentically coastal shell wreath! 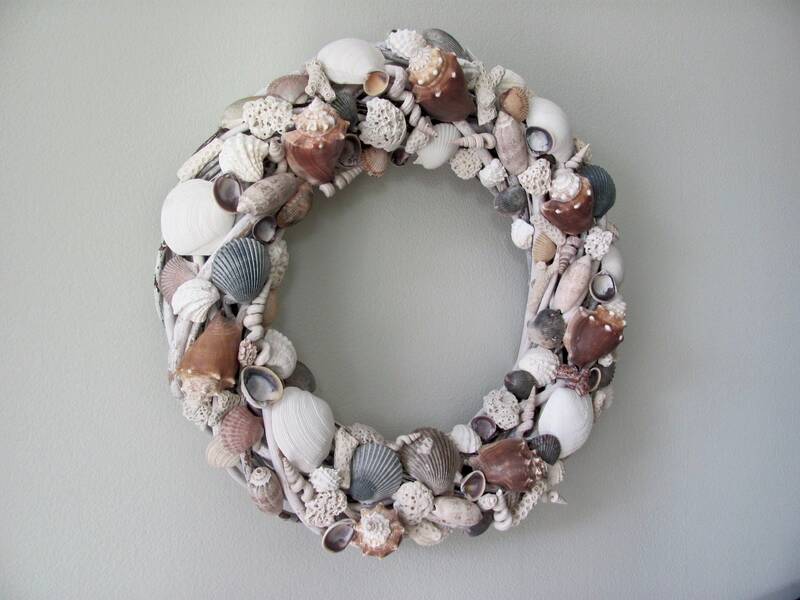 This wreath began with a beautiful base of thick vines of weathered colors which are reminiscent of drift wood. 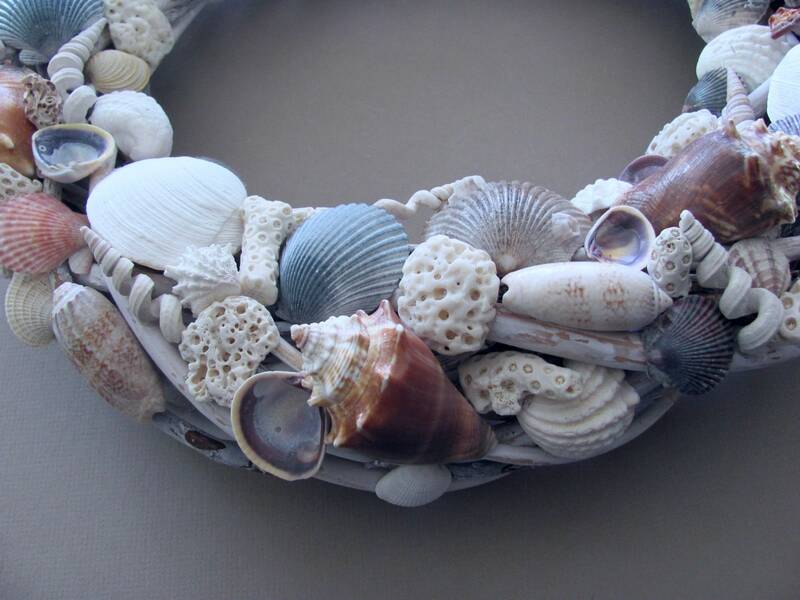 All the shells were found by my husband and I along the beautiful gulf coast beaches of southwest Florida. 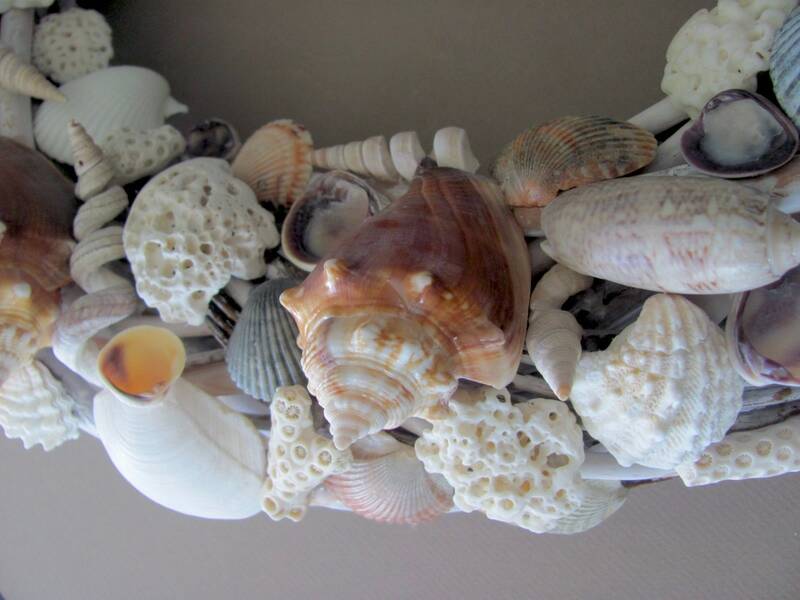 I then cleaned and prepared them to become part of a beautiful work of art. 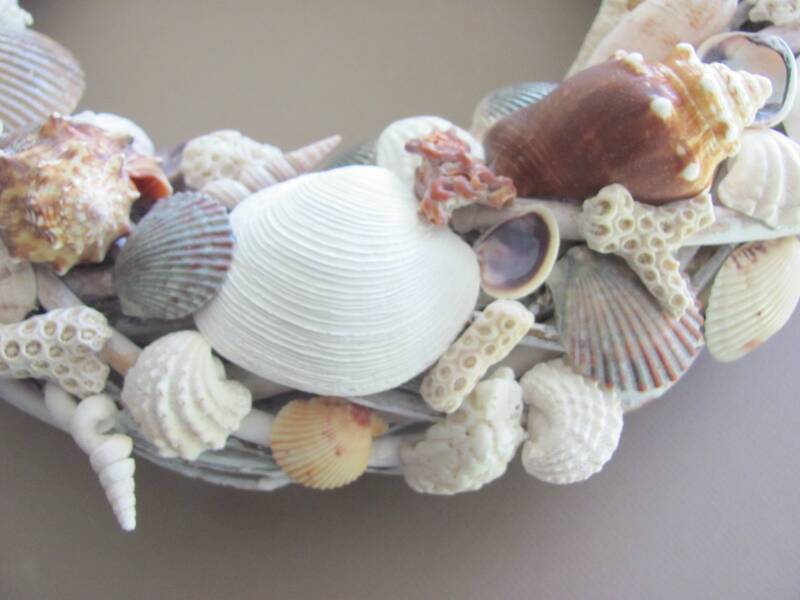 Some of the shells included are Florida Conch, scallop, lettered olive, coral pieces, jewel boxes, barred venus clams. 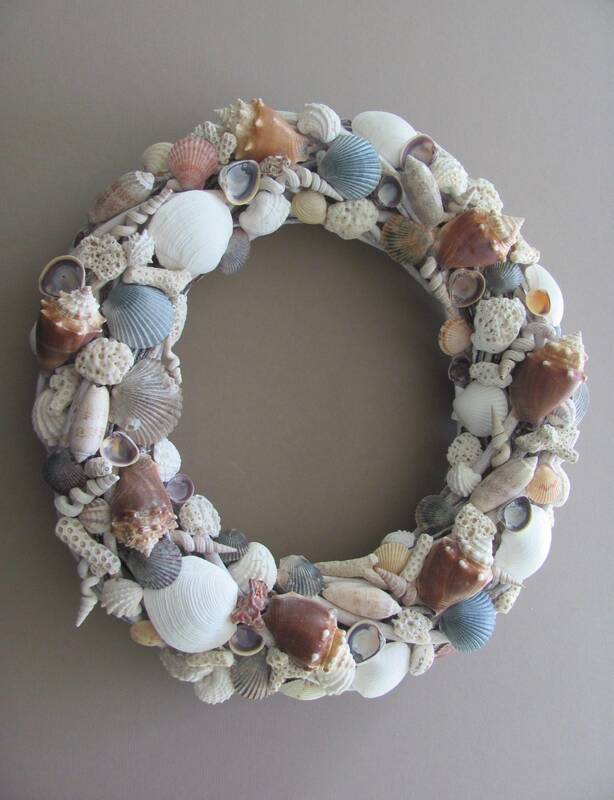 The wreath is 16 inches at its widest point, and the inner dimension is approximately 7.5 inches; there is a loop on the back for easy hanging. 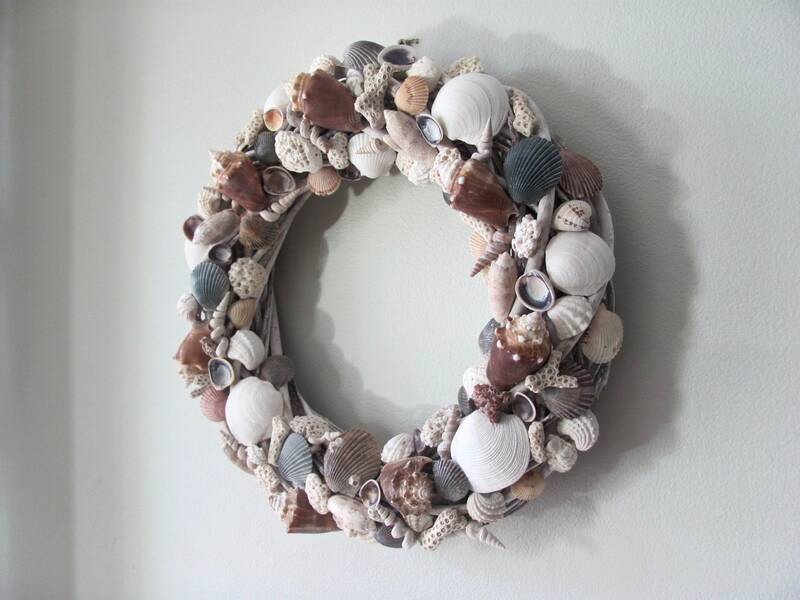 I also consider it to be pretty lightweight. 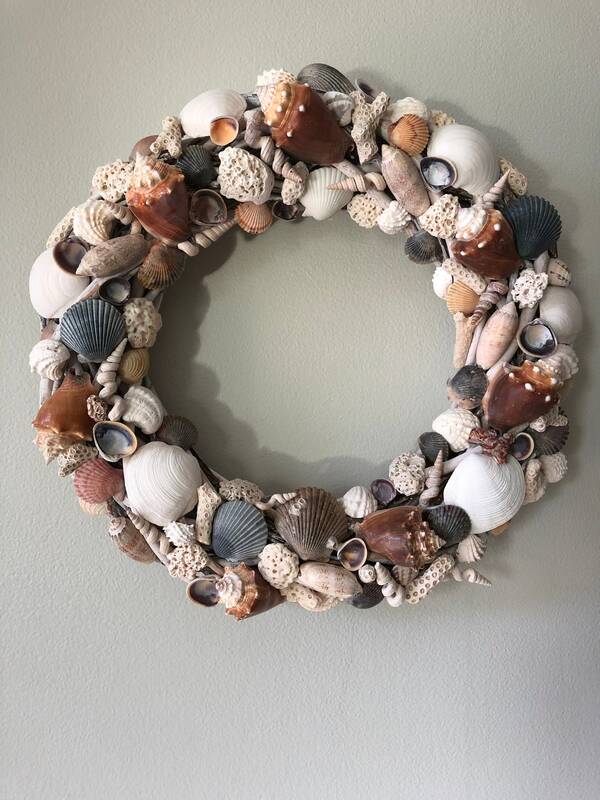 This wreath has a wonderful feel, and it is very authentically coastal, it makes a beautiful addition to any room all year long. 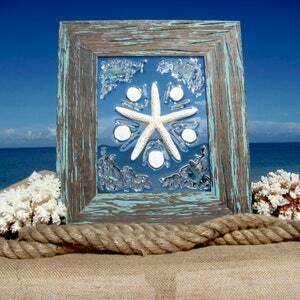 It also looks amazing as a centerpiece with either a candle or vase in the middle. 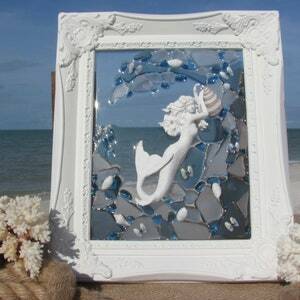 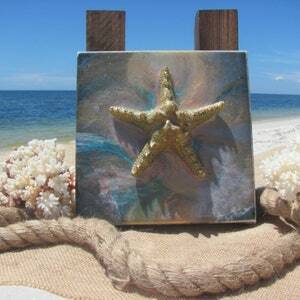 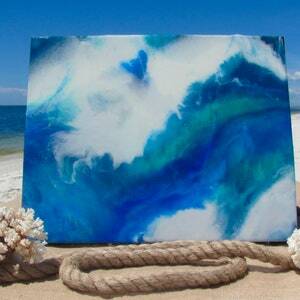 This would be awesome for a beach wedding, or a perfect wedding gift! 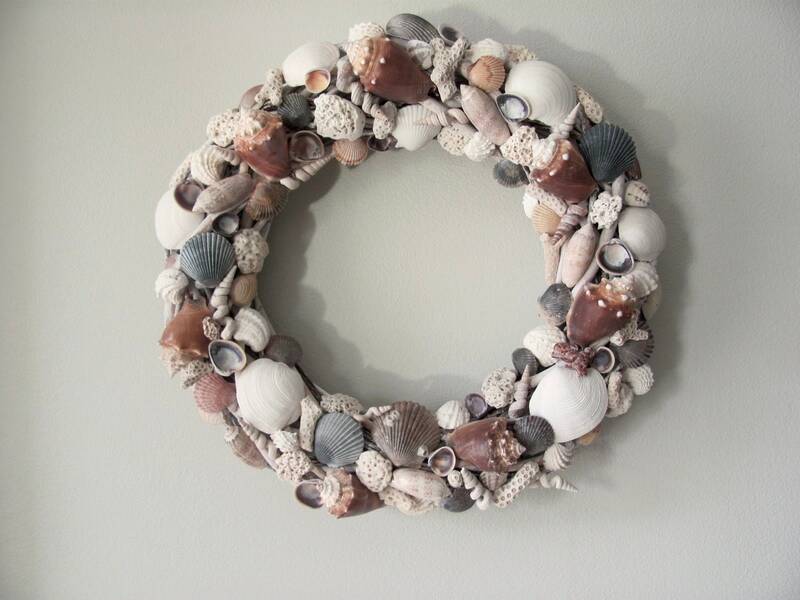 To preserve the beauty of your wreath it is recommended that it be hung where it is protected from the elements and not in extreme heat or cold.